Break eggs into a mixing bowl, add baking soda and beat with a whisk until fluffy and light in color. Heat olive oil very gently in a heavy skillet or non-stick sauté pan over low heat. Pour eggs into pan and cook slowly. As the egg sets, lift edges with a spatula, tilt pan and let liquid egg run under edge. Continue until there is no more liquid egg on top (top surface of omelet will still be quite moist). Do not allow eggs to brown on bottom. Sprinkle surface of omelet with salt, pepper and chopped basil. 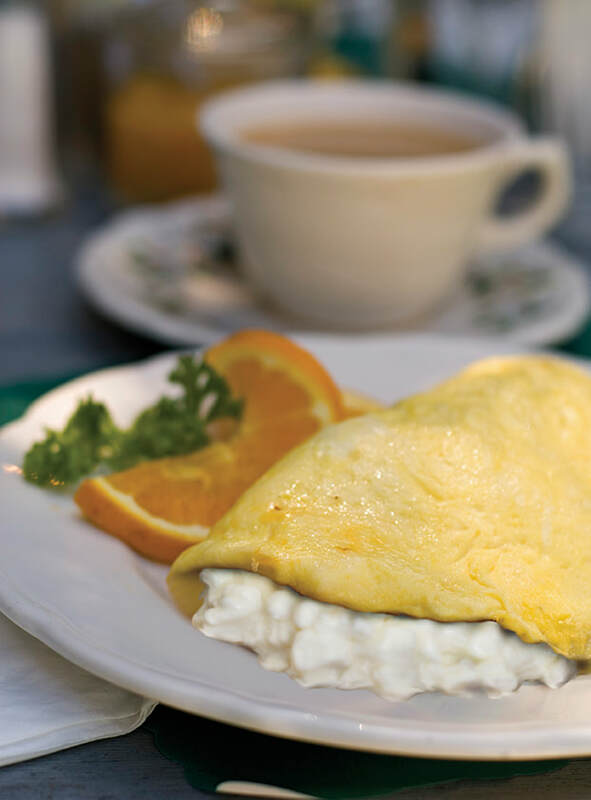 Spread cottage cheese over 1/2 of omelet surface, fold omelet in half and remove from pan. Serve warm.